Screenshot of a YouTube video about a reported bombing in Nduga district of West Papua. The Indonesian military has been accused of using chemical weapons against West Papuan separatists, following an escalation in the longstanding conflict between Indonesia and the province. Indonesia intensified military operations following the deaths of around 31 Indonesian road workers earlier this month in the Nduga region. 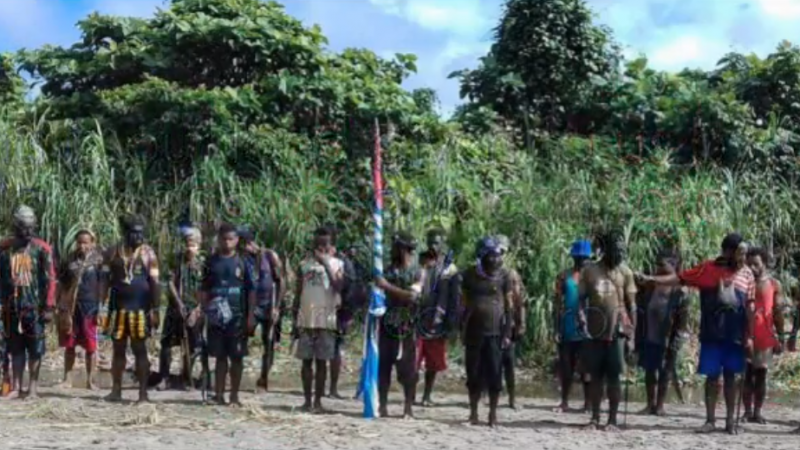 The West Papua National Liberation Army (TPNPB) accepted responsibility but claimed the workers were in fact soldiers. The TPNPB is part of the broad resistance Free Papua Movement or Organisasi Papua Merdeka (OPM). West Papua is a province of Indonesia. It is also the name used by separatists for all Papua territory ruled by the Netherlands until 1962. The area that became Irian Jaya was ceded to Indonesian control subject to an independence referendum in 1969. It was annexed following the so-called ‘Act of Free Choice’, which was rejected by local independence groups. In contrast to the TPNPB, the Free West Papua Campaign advocates peaceful self-determination. In early 2018, TPNPB issued terms of war against Indonesia through its website. In 2015, the OPM had declared open war against Indonesia, including not only the Indonesian government and its military but all non-Papuan civilians and private interests. Following the deaths of the 31 individuals, the Indonesian House of Representatives (DPR) rallied the government to petition the UN to declare the OPM a terrorist group. Australian independent weekly, The Saturday Paper, reported on December 22, 2018 that Indonesian airstrikes on targets in West Papua were “suspected to include the banned chemical weapon white phosphorus”. Screenshot from YouTube video about the attack on the Nduga district of West Papua published on Jul 26, 2018. 1. Indonesia gravely deplores irresponsible media reporting practice as demonstrated by a printed and online media based in Australia, known as the Saturday Paper, on 22 December 2018, accusing Indonesia of using chemical weapons in its operations in #Nduga, #Papua . 3. As a compliant member of the OPCW, Indonesia has no possession of any chemical agents as listed in Schedule 1 of Chemical Weapons Convention. 5. The involvement of military component in the operation, most particularly air rotary wing assets, was strictly as assistance to law enforcement apparatus, and not a military deployment per se in an otherwise internal security operations. Thank you MOFA, but you must realise that your record in #WestPapua has destroyed your credibility. Crimes and atrocities by your forces are already very well documented. According the evacuation team in Nduga District: The people are still taking refuge. A 14-year-old boy from Nduga area told BBC Indonesia his father had been killed. Local human rights activist Raga Kogeya said the community needed to be able to bury its dead in peace. “We are not enemies of the state. We are citizens of Indonesia. The government has to take full responsibility for those that have been killed,” she said. An activist based in Central Java who requested anonymity confirmed that many locals in Nduga took refuge in the mountains. The activist told Global Voices that following the attack by TPNPB, there has been a crackdown on activists in many Indonesian cities where there are many Papuan students. The activist was forced to go into hiding out of fear of further repercussions from the authorities. Another source in Jakarta also told Global Voices that news is scarcer than ever, as though the Indonesian government is trying to hide something. I might have missed it, but I can’t find any of the Australian Government, Opposition, any News Corp, Fairfax, Channel 9, 7 or 10 reporting on it. They would all know about it, but keep quiet. Without such media reporting it, I’d suggest 95%+ of Australians are unaware of it. Experts who have seen the images believe it is possible that these wounds resulted from the use of some kind of chemical agent, possibly white phosphorous. Independent verification is impossible in the absence of independent observers or journalists. Vanuatu is leading the way in promoting a peaceful diplomatic solution for West Papua and plans to take a resolution to the UN General Assembly next year calling for the West Papua to be restored to the UN list of nations still to be decolonised. New Zealand could be a game changer by ending military ties and instead opting to support Vanuatu’s principled diplomacy. There isn’t much time to waste. 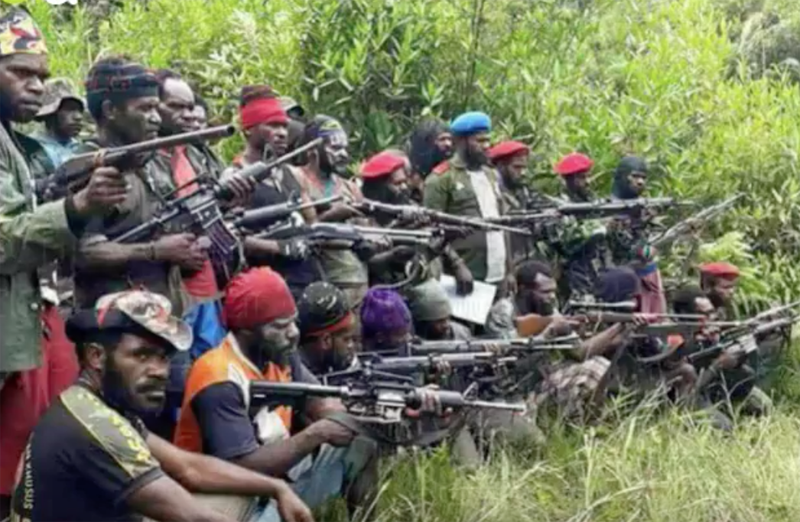 Meanwhile, the governor of West Papua, Lukas Enembe, has called for an end to hostilities and asked the Indonesian President Joko Widodo to withdraw troops from Nduga.